1. 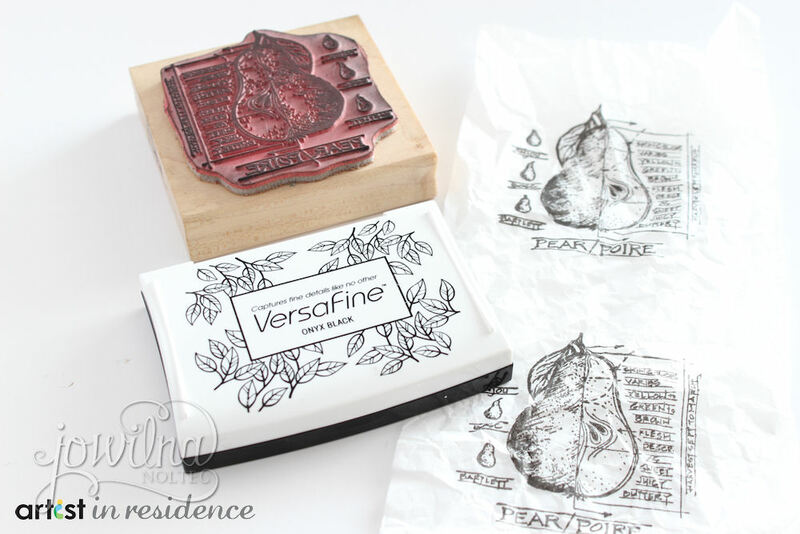 Stamp images onto white gift wrap tissue paper using Versafine ink. 2. 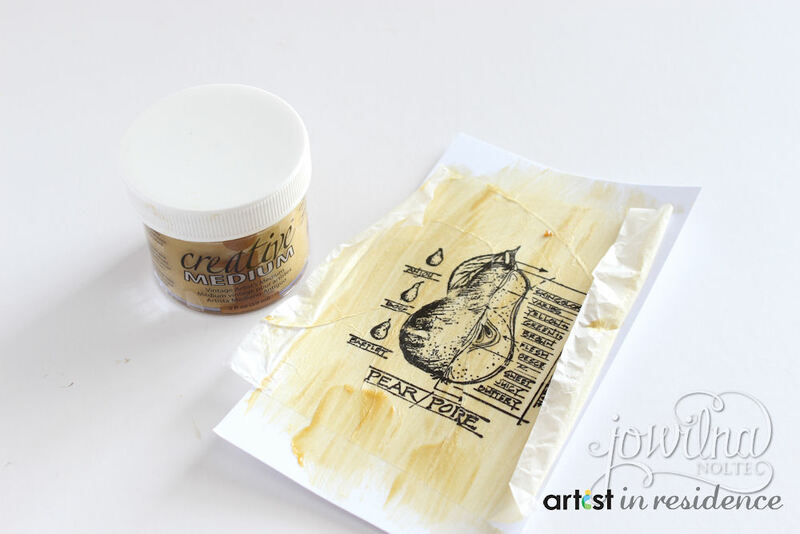 Use Creative Medium and a paint brush and adhere the tissue paper to smooth white cardstock and leave to dry. 3. 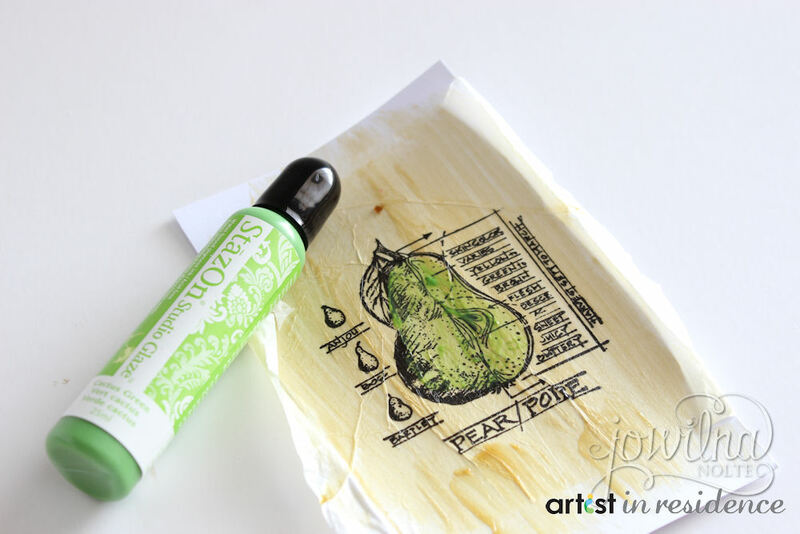 Paint the Pear image using StazOn Glaze and a small paint brush. Leave to dry. 4. Add GlazOn in selected areas and sprinkle with Microbeads. 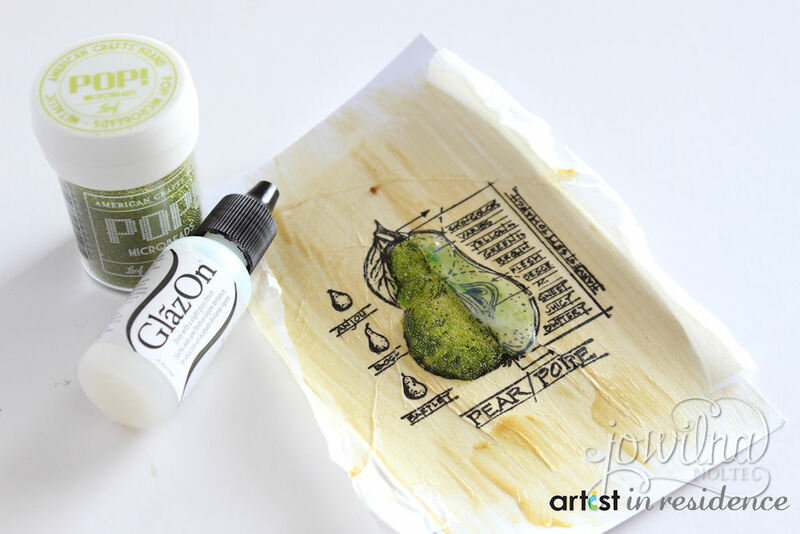 Leave to dry and then add GlazOn to the rest of the pear image. 5. Cut the pear panel to measure 4×4″ and matt onto black cardstock. 6. Cut patterned paper and adhere to the left side of your folded 4.5×6″ folded card. 7. 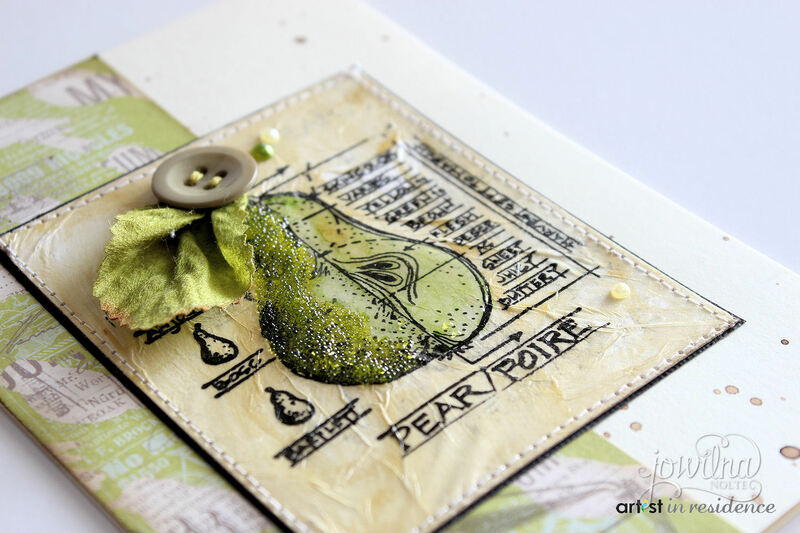 Adhere pear panel to the front of the card and decorate using a leaf, button and pearls.